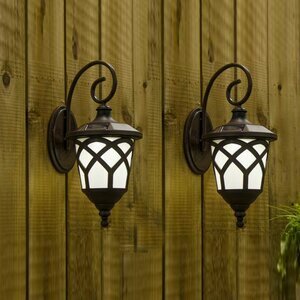 Solar 1-Light Outdoor Wall Lantern (Set of 2) | New Style Map - A Map For Your Fashion And Styles! New Style Map - A Map For Your Fashion And Styles! New Style Map – A Map For Your Fashion And Styles!